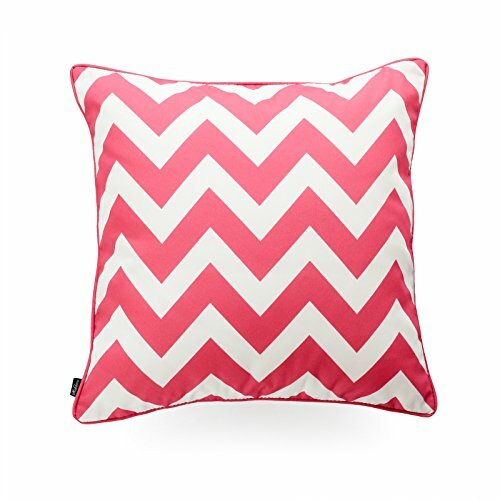 Accent your home with Hofdeco Hot Pink Zigzag Chevron pillow covers and make yourself the envy of the neighborhood. Made from INDOOR OUTDOOR WATER RESISTANT Canvas fabric, this decorative pillow cover is comfortable, and crafted for durability with fine detail which provides beautiful color definition while also being the perfect complement to your couch! Color: Hot Pink Zigzag Chevron 18"x18"
If you have any questions about this product by Hofdeco, contact us by completing and submitting the form below. If you are looking for a specif part number, please include it with your message. The Pillow Collection Spa Janvier Ikat Bedding Sham, Euro/26" x 26"